I hope everyone had a great Valentine’s Day. Did you go somewhere special? Do you need an excuse to go somewhere special? Maybe it is time to rediscover one of your favorite places? 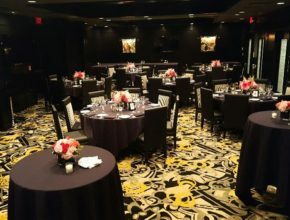 I say it is special because it isn’t just a steakhouse; it is a steakhouse that has passed the test of time by providing their guests with an experience that pairs excellent, quality food with personal and outstanding service. It has managed to stay true to its roots and cultivate a place where you can go get a memorable meal in a historic environment. 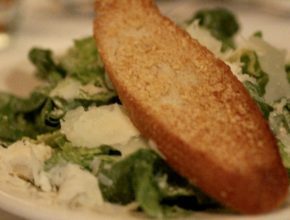 My dining companion enjoyed a beautiful Caesar salad that was the essence of a classic steakhouse. My picture didn’t do this steak justice…it was a little dark in the restaurant and I wouldn’t use the flash because I didn’t want to disturb the other diners. I did something that might shock you….I had the chicken!!! Chicken? In a steakhouse???? Yep, I love chicken and was thrilled with my decision! 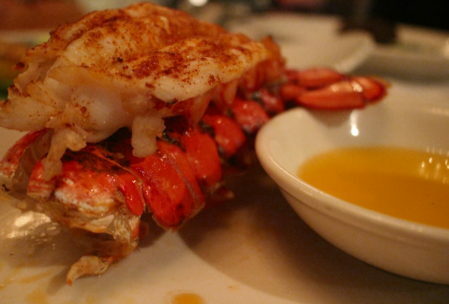 It was so juicy and flavorful. 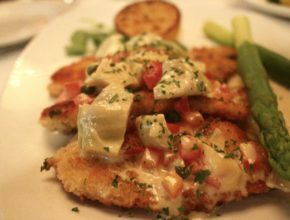 (Since I was in during January, I was served the Chicken Bianco, which included artichokes, capers and a white wine sauce.) The Chicago Northwest Restaurant week option is the Chicken Christopher. Finally, it is time for dessert. 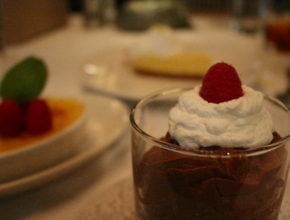 The dessert selection offers either a classic key lime pie or double chocolate mousse. 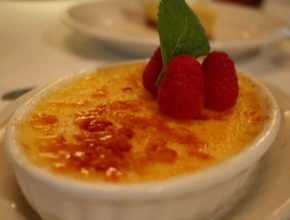 I was naughty and had the key lime AND ordered an additional crème brûlée because honestly I have never left Morton’s without crème brûlée on my hips, I mean, lips. 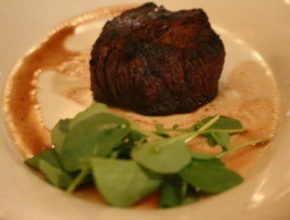 The time I had at Morton’s the Steakhouse was one like I’ve never had before because even though it would be considered a classic steakhouse, it has continued to make each visit more unique than the last time. 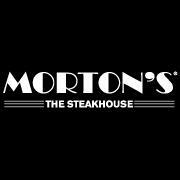 Thank you to Morton’s for such a great dinner, amazing service and fabulous company. 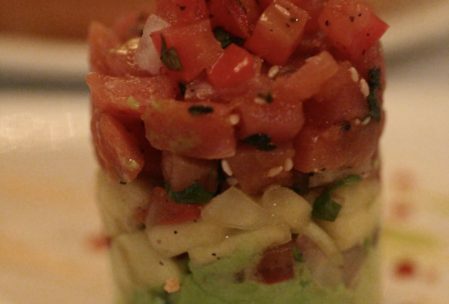 When I left there I definitely “Felt Like a Foodie” because it was more than just a dinner….it was an experience. Friday will be my final post on my escapade of discovering great restaurants to enjoy during Chicago Northwest Restaurant week. Keep an eye out for it! Morton’s the Steakhouse menu (and any of the restaurant week menus) may change without notice to Meet Chicago Northwest or Felt Like a Foodie. Tax and gratuity are not included.